SÉBASTIEN Ogier and Kris Meeke have tied at the top of the timesheets in the Shakedown session before the start of Xion Rally Argentina, Round 4 of the WRC. The duo set matching times in their first two passes through the 4.59km stage from Villa Garcia to Cabalango. Ogier went faster on his third and final run in his Volkswagen Polo R, only for Meeke to equal it on his fourth attempt in Citroën’s DS3. “I enjoyed the break but six weeks was very long so I’m happy to be back in the Polo,” Ogier said. 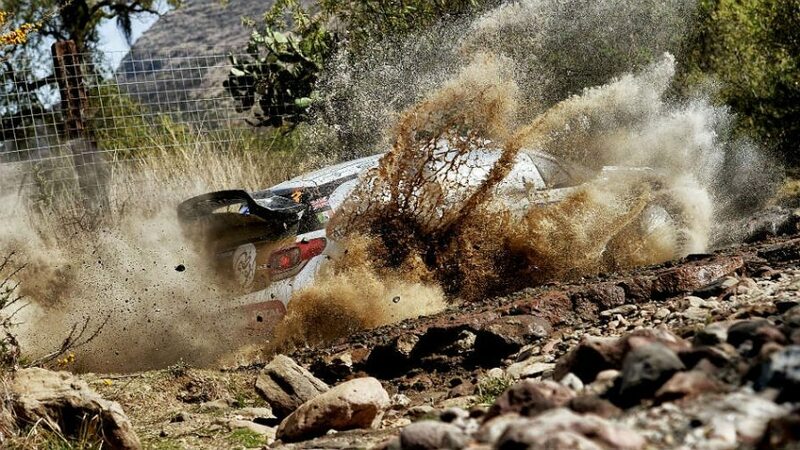 Meeke admitted the six-week break since the previous round in Mexico had helped him. “The start of the season hasn’t been perfect. The speed has been OK, but I haven’t been able to be consistent and made a few mistakes. Andreas Mikkelsen was 1.2sec behind in third in his Polo R, just a tenth of a second ahead of Mads Østberg’s DS3 in fourth. Jari-Matti Latvala’s Polo R and Thierry Neuville’s Hyundai i20 completed the top six. Kiwi Hayden Paddon went off the road and hit a fence during his third run after a bolt broke in his i20’s front left steering arm. He repaired the car in the stage before returning to the Villa Carlos Paz service park.